Why don’t you try this game with your dynamic vision acuity? Various “Kanji” characters move quickly. Can you find out which Kanji is there? Press the button [AGAIN] if it is invisible. Your score will be decreased when [AGAIN] is pressed. Press the [I'VE GOT IT] button if you find the answer. This App corresponds to the Game center. Highest score will be stored even if you quit the game along the way. 30 questions will come to you randomly from 300 Kanji characters. You can enjoy a game with different questions every time. 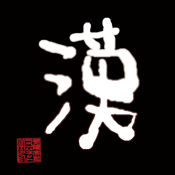 We have continued increasing the number of Kanji characters!